God will not forget you! Remember these things, Jacob, for you, Israel, are my servant. I have made you, you are my servant; Israel, I will not forget you. God knows our hardwork. He knows our pain, our sacrifices, and our sufferings. We may not see beyond our situation right now, but God has a purpose. He has a plan and is in total control of the situation. He is in control of world history, and He is in control of our life story. He loves you and I more than we will ever know. Our friends, our loved ones, and sometimes the closest to us may abandon and forget about us, but God will never forget about you. He created us, and He has known us by name before He made the Heavens and the earth. 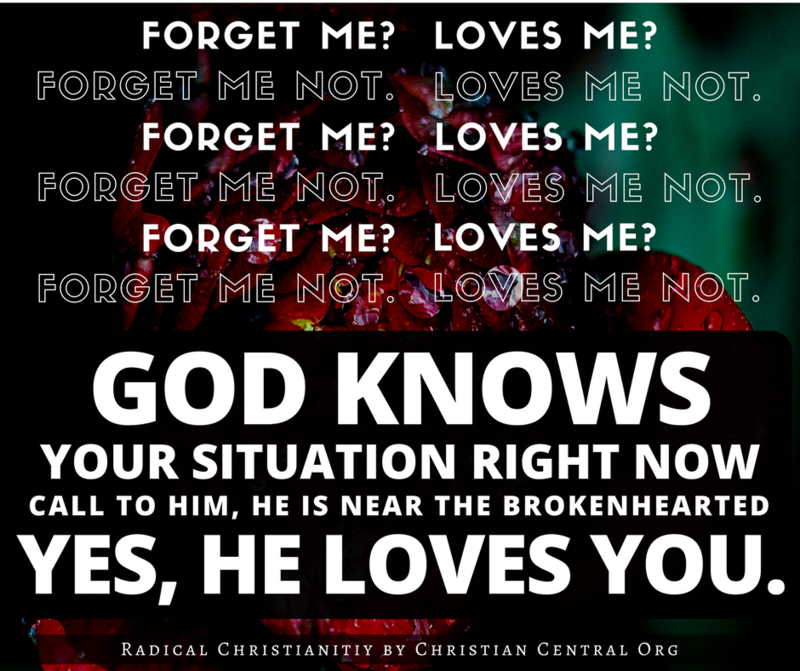 Yes, HE LOVES YOU! Continue the good fight, persevere with confidence, and surrender your worries to God. He will pull you through. He has the best plans set out for you!